I am so excited about this dish. It tastes best with fresh Hilsa. Shad fish in North America has a taste close to Hilsa too. 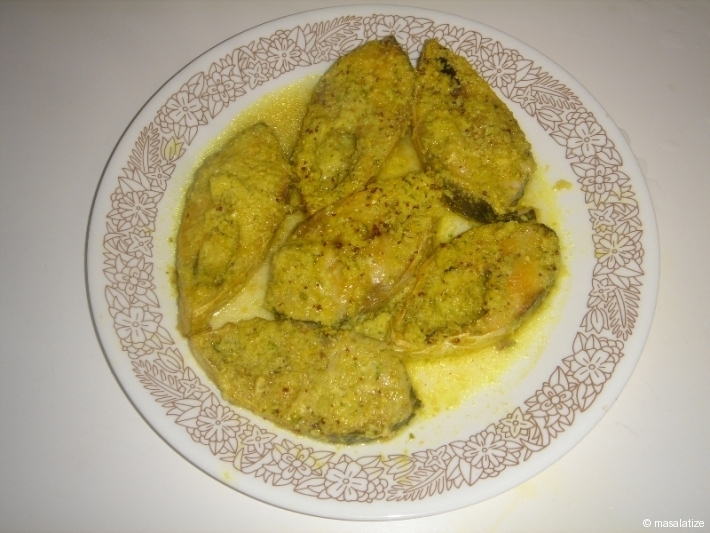 Any preparation with Ilish becomes Bengal delicacy. 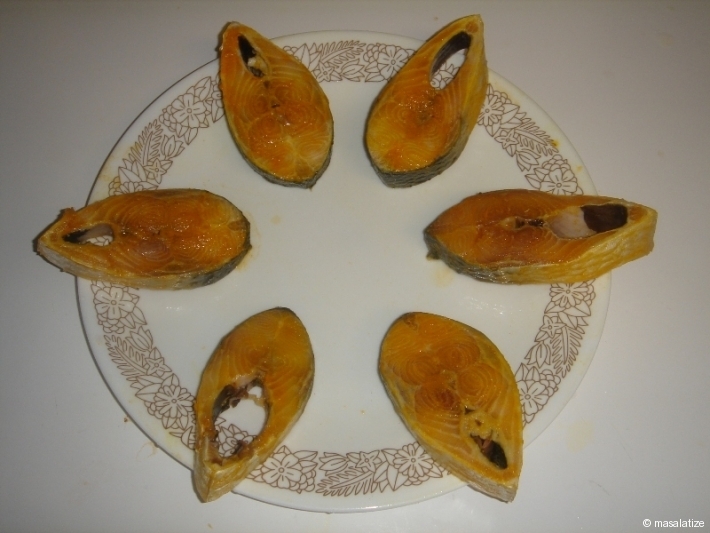 This is one of the easiest preparation of Ilish and can be cooked in Microwave also. 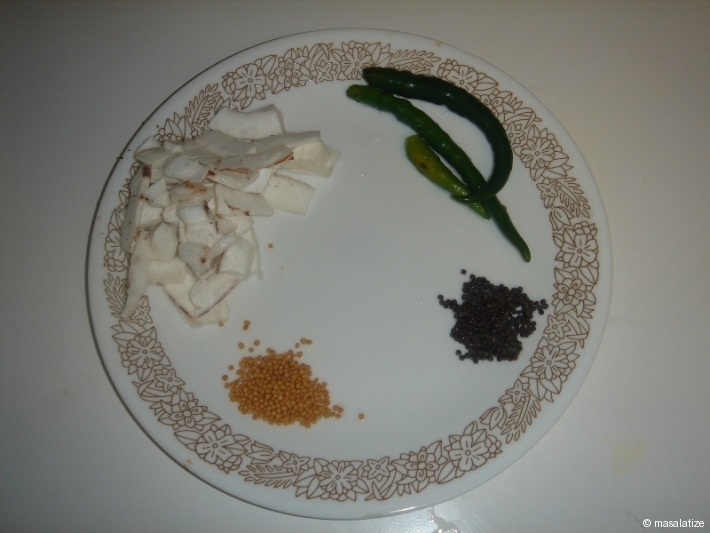 Put the black and yellow mustard seeds ,coconut and green chilly into the the container of a clean coffee grinder. Marinate with salt and turmeric powder. 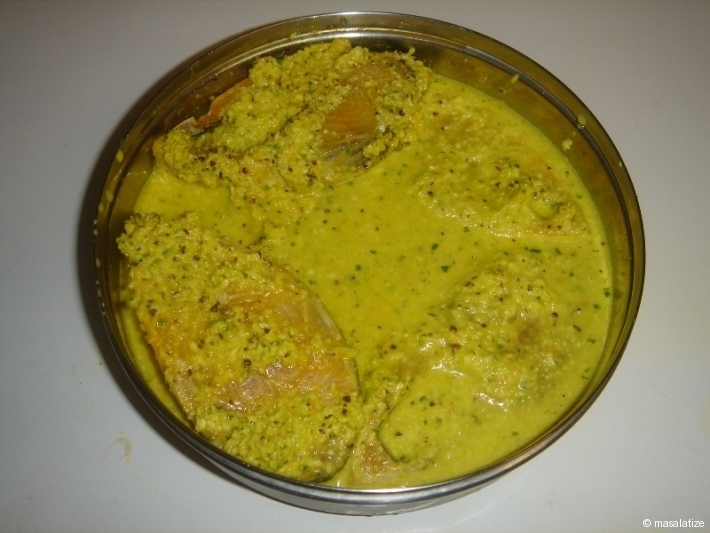 Keep the marinated fish, mustard oil and above paste in tiffin box and place it in a pressure cooker for half an hour. Now serve it with hot rice.